It looks like our recent wind storm officially blew in the 2011 Holiday Season in Albuquerque. While some shoppers at Thursday’s Nob Hill shopping event braved the wind, downed trees, power outages and – did we already say wind – Old Town Merchants are hoping for a better turnout at tonight’s events that will kick off their holiday shopping season. The River of Lights, an annual favorite, is also under way, with more lights and new features. And this year’s Nutcracker performance featuring the NMBC Orchestra and the NM Ballet Company is also ringing in the season, as well as holiday themed performances at many of the live theater spots in town. 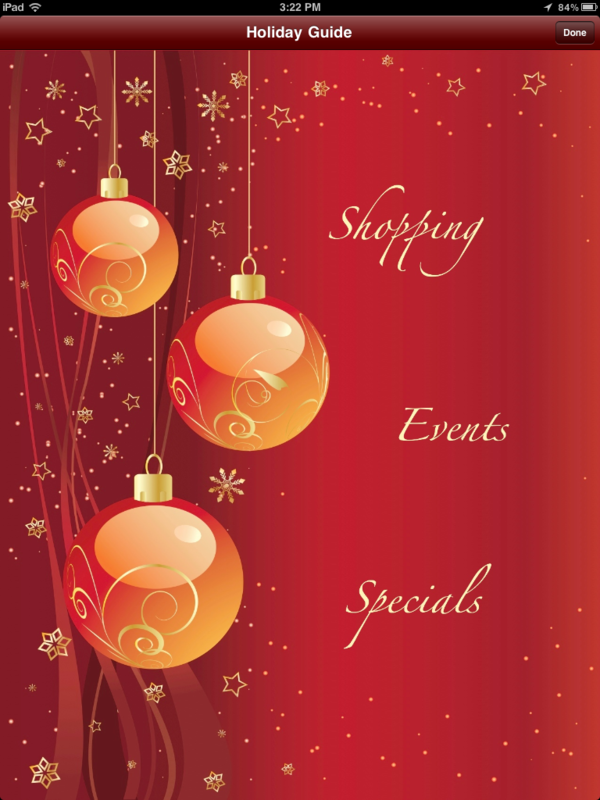 Just touch the Wrapped Gift Icon on the landing page of the Albuquerque Guide to launch our Holiday Guide for 2011. And we’ve officially kicked off our own holiday season by launching the new 2011 Holiday Guide in the Albuquerque guide in APPCityLife. So before you head out to partake in your holiday festivities, check out our guide for all the info you need before you go. We’ve added our directory of local businesses, the Product Search Engine by our partner Retailigence and local notices for special offers and information for you. And as our thank you to local merchants, we’re offering on free mobile ad in our guide. Merchants can add their add online through our form. This entry was posted in Attraction Recommendations, Event Recommendations and tagged ABQ BioPark, ABQCityLife, Albuquerque, APPCityLife, City of Albuquerque, Events, New Mexico, New Mexico Ballet Company, NMBC Orchestra, Nutcracker, Popejoy, Popejoy Hall, River of Lights. Bookmark the permalink.